According to HSE, it has been estimated that 58,000 non-fatal, self reported injuries happened within the UK between 2017/18 and 38 workers were fatally injured. Winter weather has the potential to hit the UK hard, with strong winds, freezing temperatures, snow, ice and lots of rain. All of these elements can cause hazards for construction workers on site. 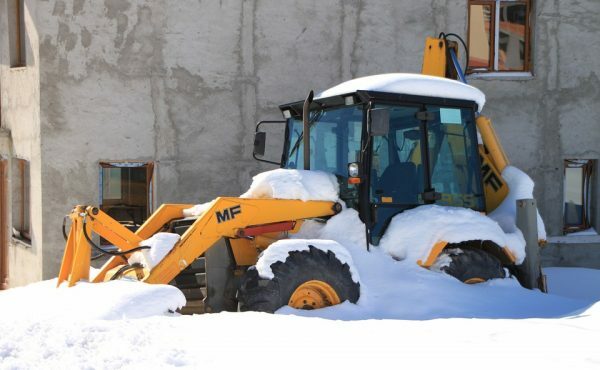 As the weather is uncontrollable and unpredictable, taking precautions to ensure site operatives stay safe is essential. Wind, freezing rain and ice can make construction sites dangerous and cause an increase in site accidents and injuries. Temperatures that fall to near or below freezing can be dangerous to a person’s health. They can cause skin and internal body temperatures to drop. In addition, if rain causes the skin to become damp this will contribute to heat loss from the body, and the body may not be able to warm itself up. All of this can cause serious illnesses that can result in permanent tissue damage or, in more serious cases, death. Trench foot, frostbite and hypothermia are potential hazards if workers are not properly protected from the elements when working outside. Falls are one of the most common construction site accidents and they can happen all year round. However, winter weather increases the risk of falls due to ice and wet, slippery surfaces. When surfaces become cold, ice can accumulate on scaffolding, ladders, walkways, stairs and work platforms. If these areas are not treated correctly they can cause workers to slip and fall, sometimes from height, causing injuries such as broken bones, fractures, traumatic brain injuries and even death. Driving accidents don’t just happen on the roads, they can also happen on construction sites. Being on a construction site, it is easy to forget that winter driving rules for the road still apply. It is also important to remember that construction vehicles aren’t usually as agile as cars because of their size and weight. Limit any exposure to the elements by shielding certain work areas from the weather, protecting the construction workers from potential harm. Working outside any time of the year can be extremely dangerous. Always make sure employees are safe, helping to reduce onsite injuries or fatalities.